We’ve known for a while that Outlander’s second season would be a whole lot different from the first. In fact, we’ve known that Jamie and Claire would be heading to Paris to indulge in the best society has to offer, all while attempting to stop the Jacobite Revolution from starting. Apparently, however, this will mean that Jamie will have to change a lot as he starts to be a part of politics and espionage to a certain extent. Actor Sam Heughan shared more at the TCA winter press tour. Season 2 has been about discovering a side of the character I didn’t know was there. He’s playing someone else — he’s learning to be quite deceptive, and he does it very well. Fans who have read all of Diana Gabaldon’s novels already have a good idea about what is coming in Paris. After all, so far the Starz series has largely stuck to the outline of the novels the show is based on. And while we know the sixties timeline for Season 2 will be somewhat different from the books, we’ve also seen in the first-look trailer that a lot of the broad strokes from the book series will remain very much intact. Some brief spoilers will be in this paragraph if you haven’t read the books and would prefer the new season to stay a total surprise. This summer, for instance, Andrew Gower was signed on to play Bonnie Prince Charlie, who is living in Paris during some of the events in Season 2. 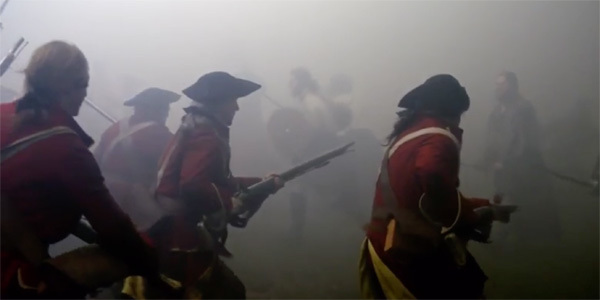 Jamie will be acting as a sort of double agent, protecting Bonnie Prince Charlie but also acting as a bit of a sabotage, but for good reasons. If Charlie ends up gaining money to start a revolt in Scotland, it will lead to the Jacobite revolution and the Battle of Culloden, where many lives were lost. However, Sam Heughan’s other comments, as reported by Variety, seem to reveal that all events at sabotage will fail and the course of history will be set. The danger in Paris and Versailles is less physical with swords and weaponry; it’s more politics and backstabbing and poison. It’s more hidden. There’s a lot more politics at work and a lot more danger… Then we go back to Scotland, where we go back to the blood and mud and gore. Outlander has been off of the air for quite some time, thanks to Starz choosing to air the show in one block rather than via a split story arc during Season 2. Outlander Season 2 doesn't have an official premiere date yet, but we can expect the series to return for Season 2 this spring. For now, you can check out when your other favorites will be returning with our midseason TV schedule.